As a single mother with a full-time job, Erin Geiger needed to find a flexible program to continue her education and earn her degree. Fortunately, she found Northwest Technical College. 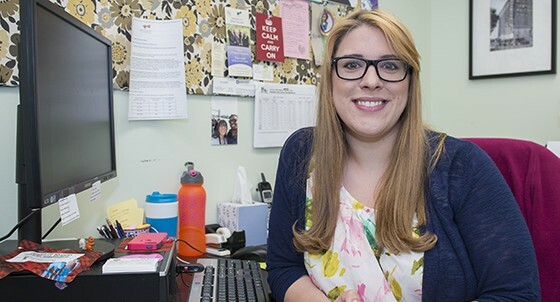 NTC’s wide variety and availability of online classes allowed Geiger to complete her coursework at night and on the weekends so she could continue working and caring for her family. Get on a flexible path to a rewarding four-year degree. The Health Sciences Broad Field Associate of Science (AS) degree may be the perfect place to start if you’re planning to pursue a four-year degree or double major in Northwest Technical College programs such as nursing, dental assisting or medical office technology. The program, which is offered online or on campus, provides a flexible path of study for you to explore career options in health and human services. Graduates who want or need to work can use the AS degree to be qualified for employment as a nursing assistant before deciding whether to further their studies. 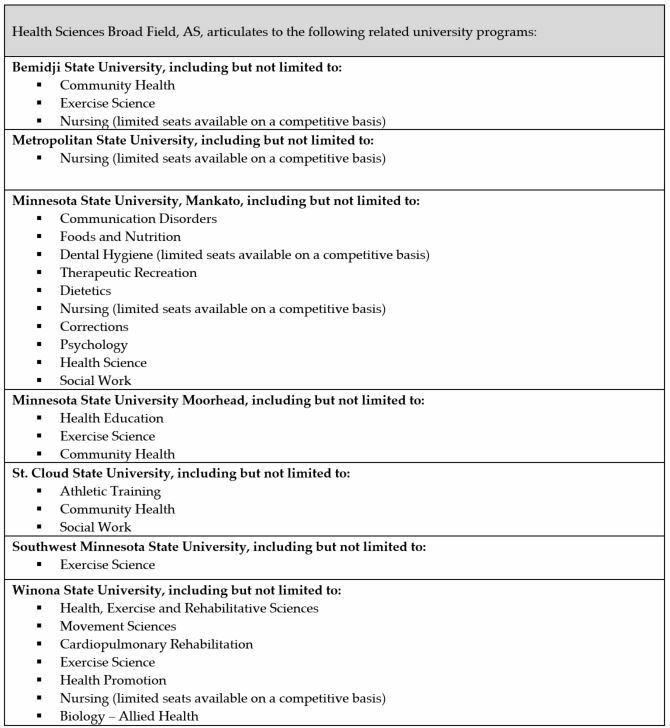 Most graduates eventually advance their studies with another NTC degree or transfer to a baccalaureate program within the Minnesota State Colleges and Universities system. Students completing the Health Sciences Broad Field will work closely with advisers to plan their academic and career path in the high-demand health and human services fields.